Fourteen-year-old Maximum Ride, better known as Max, knows what it's like to soar above the world. She and all the members of the "Flock" - Fang, Iggy, Nudge, Gasman and Angel - are just like ordinary kids - only they have wings and can fly. It may seem like a dream come true to some, but their lives can morph into a living nightmare at any time. Travis McKinley is an ordinary man living an ordinary life - he has a job that he despises, a marriage that has lost its passion, children from whom he feels disconnected, and at age 50, a sense that he has accomplished nothing of consequence with his life. But on Christmas Day, he goes out to play a round of golf, and for the first time, he finds himself in the "zone". He sees the putting line that has eluded him for years. 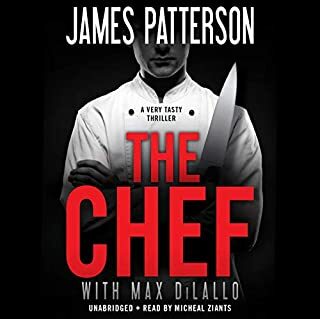 James Patterson's explosive debut in the young adult market is guaranteed to create legions of new fans for this beloved, multimillion-selling author. A serial killer is loose on the streets of Manhattan. His victims appear to be total strangers. The only clue that unites the crimes is the playing card left behind at each scene that hints at the next target. The killer, known in the tabloids as The Dealer, is baiting cops into a deadly and scandalous guessing game that has the city increasingly on edge. St. Peter's Square, Rome. White smoke signals that a new Pope has been chosen. Is it possible that the new Pope...is a woman?The world is watching as massive crowds gather in Rome, waiting for news of a new pope, one who promises to be unlike any other in history. It's a turning point that may change the Church forever. Some followers are ecstatic that the movement reinvigorating the Church is about to reach the Vatican, but the leading candidate has made a legion of powerful enemies who aren't afraid to kill for their cause. My review of Woman of God. 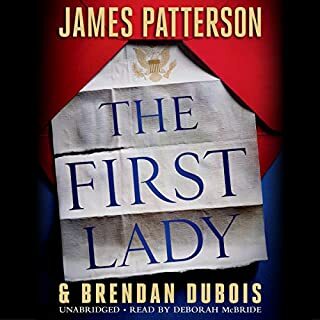 James Patterson returns to the genre that made him famous with a thrilling teen detective series about the mysterious and magnificently wealthy Angel family . . . and the dark secrets they're keeping from one another. On the night Malcolm and Maud Angel are murdered, Tandy Angel knows just three things: 1) She was the last person to see herparents alive. 2) The police have no suspects besides Tandy and her three siblings. 3) She can't trust anyone-maybe not even herself. Having grown up under Malcolm and Maud's intense perfectionist demands, no child comes awayundamaged. Tandy decides that she will have to clear the family name, but digging deeper into her powerful parents' affairs is a dangerous - and revealing - game. Who knows what the Angels are truly capable of? A teenager. HUGE Patterson fan....Are you sure Patterson wrote this? Storyline was good in the beginning but lost me after the first few chapters. The reader's voice was a little annoying (ok, REALLY annoying). I'm asking for my credit back. 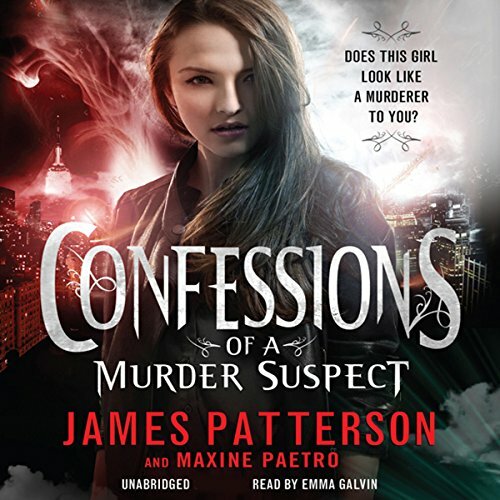 What did you love best about Confessions of a Murder Suspect? I am a huge James Patterson fan. I did like the book, but felt like the author was quick to finish, like he was late for dinner. The story is good, but wish the ending was more thought out. It took a moment to get into it, but once it got going it was a good book. If you could sum up Confessions of a Murder Suspect in three words, what would they be? The storyline kept you guessing. Have you listened to any of Emma Galvin’s other performances before? How does this one compare? No, I have not but I will check on other audios she has performed. Never know what treasures you will get on sale! 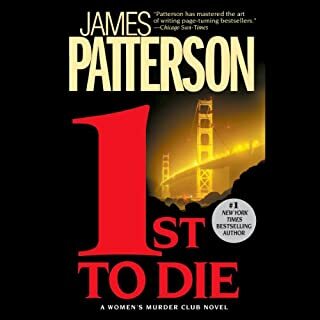 I am a big fan of the Alex Cross series and The Women's Murder Club so I figured any other mystery by James Patterson would be good. I was right! This is a good book about a group of siblings ranging in age from adolescence to mid 20s. They are from a very rich, very dysfunctional family. The parents are killed early on and it's a game of Clue to see who done it. Emma Galvin is an excellent narrator, especially when the protagonist is a young woman. Can Never Go Wrong with James Patterson! Let me start off by saying I'm a huge JP fan, so I'm probably a little biased and probably rated this higher than it should be. This was a decent story line where the narrator would tell the story in a way that was both frustrating and intriguing. My only concerns is that everything did not wrap up into a nice and neat little bow. Now, if they are discussed further in the next in the series, fine, that works for me. However, if not, that's not cool James! I will read the next in the series, so only time will tell. What did you like best about Confessions of a Murder Suspect? What did you like least? 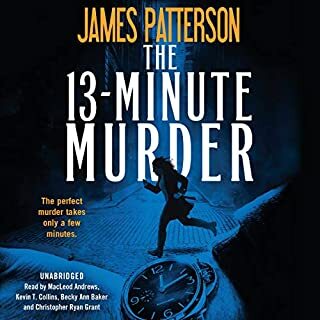 I love James Patterson and the fact that his many publications are so eclectic and original. The children finding out about their medication. Did Confessions of a Murder Suspect inspire you to do anything? I wasn't expecting the story to move in that direction, very reminiscent of the Max character. Interesting to say the least! The narrator -- Tandy Angel. She's fun, she's confused, she's bright, she's likeable, she's young, and she's a well-developed character. The narrator was really well suited for this character. I liked all of the scenes between Tandy and Capricorn Caputo, the detective investigating the deaths in the family. I could have had I had enough time in one sitting. 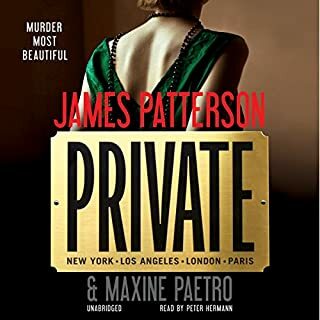 I really enjoyed this book, but then Maxine Paetro always minimizes the gore and maximizes the character interest. The ending was expected, but it worked well enough. It was the weakest part of the story, but the narrator is just so good that she made up for it. Although I’m a huge fan of the authors, I couldn’t get past the first hour. And I tried...and tried and tried. 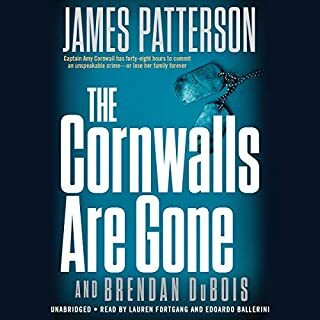 Didn’t care for narrators voice and the writing is just not Patterson/Paetro caliber. Not quite sure what happened here since most reviews were scored high. Maybe the book is better toward the end but I’m not going to waste my time. Not even into the first hour, I’m turning this book off, selecting another and going back to vacuuming.